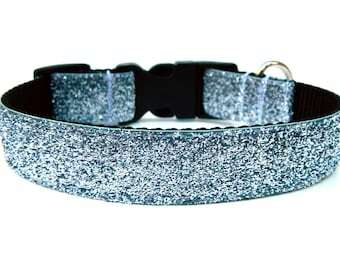 Beautiful pastel rainbow glitter dog collar! 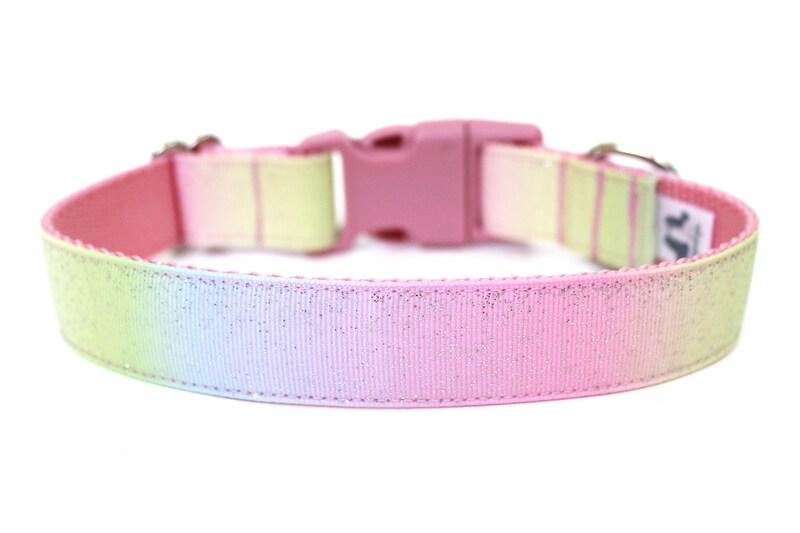 This glitter dog collar is made with pink nylon webbing, a matching pink side release buckle (5/8" and 1" wide have a light pink buckle and 1.5" has a bubblegum pink buckle), and a pastel ombre rainbow design covered in no mess silver glitter! Perfect for your unicorn loving pup all year long! This listing is for a side release 5/8" (small breeds) 1" (medium to large breeds) or 1.5" (large breeds) sparkle collar. Please indicate which size you would like...note that all sizes on this sparkle dog collar have coordinating hardware.